Includes: 4 hours in-home care from one of our esteemed Placement Solutions Nannies. Includes 1 week (5 day) Night Nanny service from 11pm to 7am. Includes $330 worth of extras. 2 weeks (10 days) Night Nanny Service from 11pm to 7am. Includes $400 worth of extras. 3 weeks (15 days) Night Nanny Service from 11pm to 7am. Includes $500 worth of extras. 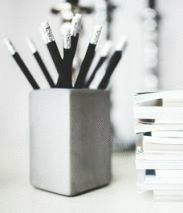 The perfect tool for Professional Nanny/Educators to use on a casual booking to forward to the parents on their return. 50 Sheets per pad, notes page on back. Pure cotton study apron with large useful front pocket. 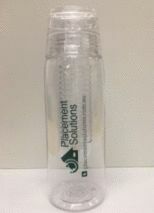 BPA Free, with removable infuser for herbs, fruit or tea. One off, 3 hour, professional organising visit includes plan for work to be done by self or hiring PO. Everyone knows what a Nanny is, yet the role of the modern Nanny is still widely misunderstood. 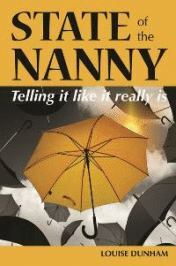 'State of the Nanny' provides a clear-eyed assessment of today’s Nanny-ing industry and its potential for improvement. Postage or pick up from Kew East also available.